My blood boiled as I saw the photo being passed around social media. 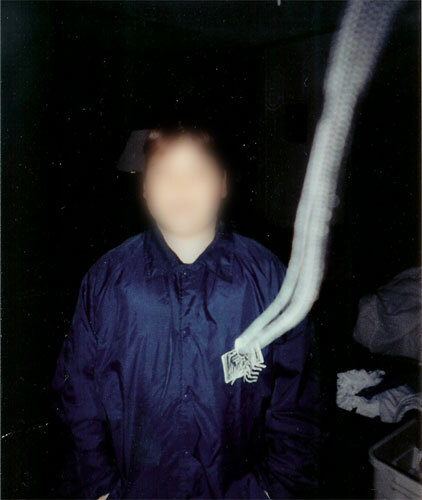 It came with a caption, “My friends were taking pictures of their house that they just bought – look what was captured in the picture….” In the picture is the figure of a ghost. It’s so obviously a fake, I was surprised anyone would fall for it. When I clicked on the photo, I was flabbergasted at the plethora of comments, most of them congratulating the photographer for the capture. As technology increases, so does the capacity to provide false information. As a paranormal investigator, I see it time and time again in photos. With the invention of “ghost apps” anyone with a cell phone can create a seemingly paranormal photo in minutes. 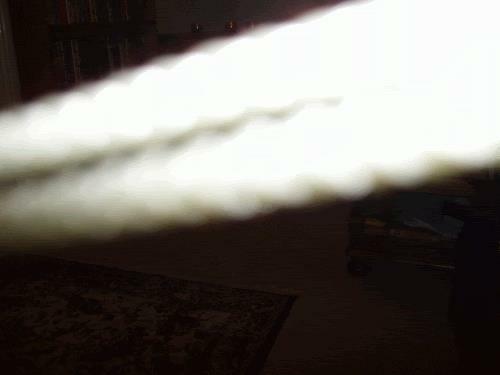 Beyond the obvious faked photos are the photos that aren’t altered, but probably aren’t paranormal either. Many people fall for these as well. As humans, we are programmed to find faces. We see them in clouds and in reflections on windows. The truth is: some people want to find something in a photo. Every time I post a picture of the Haunted Victorian Mansion online, someone finds a face in the window. Chances are, it’s just a reflection. Clouds and bushes have a tendency to look like faces. Everything isn’t a ghost. In fact, most things aren’t paranormal. If you look hard enough, you’ll find the explanation. 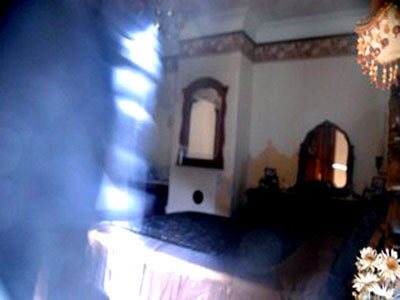 Another huge topic regarding ghost photos is the subject of orbs. Are they true ghost pictures or just dust or moisture? This is quite a controversial topic that I plan to handle as gingerly as possible. People are either “orb believers” or they aren’t. There truly isn’t much grey area when it comes to people’s opinion about orbs. My opinion is that the majority of the orb pictures you see are nothing more than dust or moisture that is catching the light from the flash and making it reflective. The bigger the orb, the closer it was to the camera when the photo was taken. If the orb is a different color, it’s reflecting something nearby that is the same shade. All you need to do to test this yourself is to walk across a room and then snap a picture with the flash on. 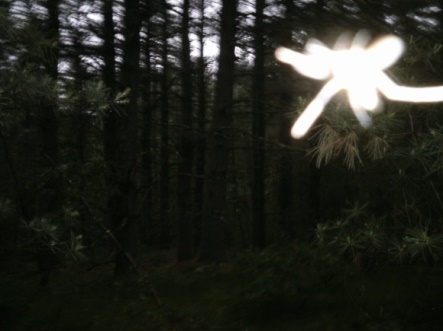 You’ll see all the orbs you care to capture. 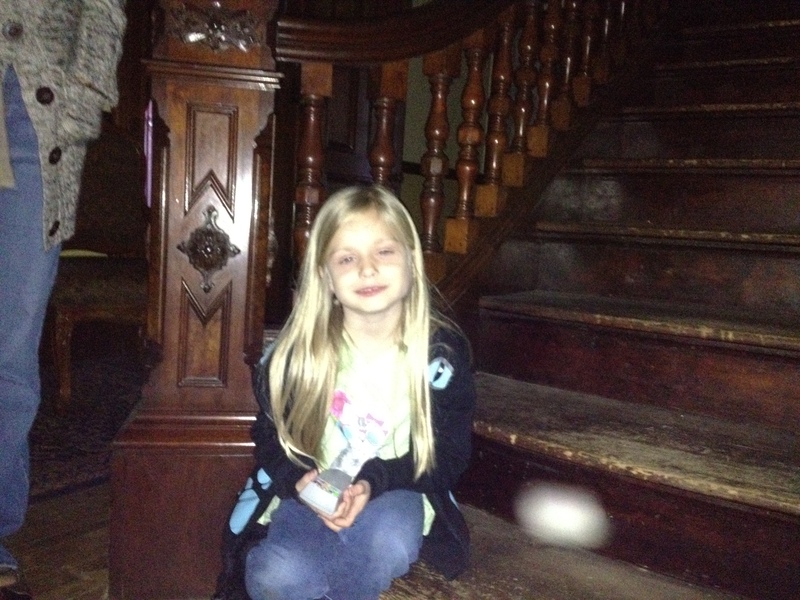 My first experience with orb photography came during a haunted walking tour in Nashville, Tennessee. The guide guaranteed that we would capture a ghost on film. It was even printed in the brochure. I was intrigued by this, being a brand new investigator. I wasn’t sure how they could guarantee I’d get a paranormal picture, but I was willing to give them the benefit of the doubt to see what happened. They brought us to the street across from the haunted State House building. The guide waited until the light turned red and then instructed everybody to start snapping pictures. Even as a newbie, this was enough to make me roll my eyes. You could see the dust swirling in the air, kicked up from all the traffic. As it settled, people were getting hundreds of orbs in every picture. 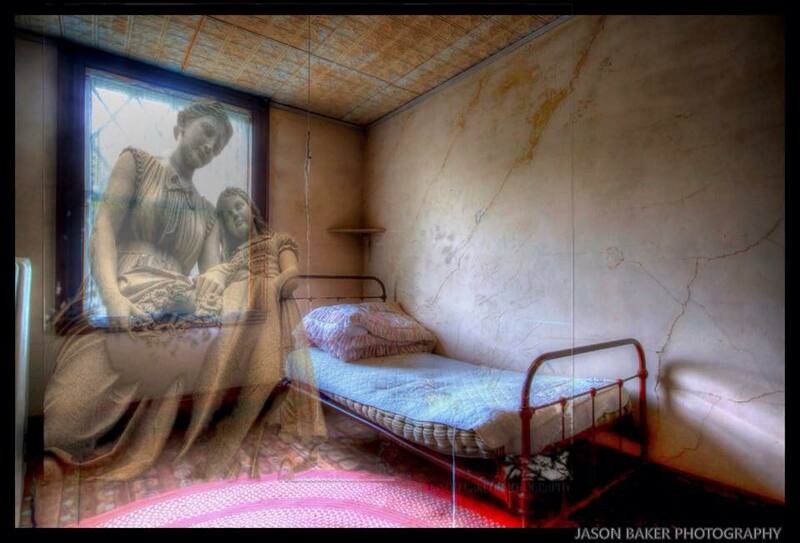 The guide congratulated them and they walked away thinking they actually captured something paranormal. It does make sense that a ghost would take the most conservative shape, which would be an orb-shape. It’s aerodynamic and can move easily around the room. As someone who is sensitive to ghostly energy, I can tell you that ghosts don’t simply walk through the doorway and stand in a corner. They move around the room rapidly, something my cats track as they watch them zipping around. However, with that said, the only way I will believe that an orb photo might be a legitimate ghost is if the photo is taken without use of a flash or if it is captured on video maneuvering around in a manner that separates it from dust and moisture. Don’t believe it because you want to believe it. Only believe it after you’ve ruled out everything else it could be. The photo shown above was taken in at the Haunted Victorian Mansion, the subject of my 2014 book Bones in the Basement – Surviving the S.K. Pierce Haunted Victorian Mansion. It was snapped by an investigator from Conscious Spirit Paranormal. I know these ladies personally and know they wouldn’t fudge a photo, which gives it more validity in my eyes. The photo supposedly shows a portal in the Copper Room. I’ve been in this room many times. In fact, I’ve slept there several times. I can assure you, there’s nothing physical at the foot of the bed that would cause a photo to look like that. My first thought about the photo was that it was a camera strap hanging down into the photo. Below is a photo of a camera strap in a photo. You can see the ridges of the straps. The images, while not exactly the same, are similar. The only real difference is the fact that the Victorian photo’s vortex image ends before the top of the photo. If it were a camera strap, it would continue through the top of the photo. Just always bear in mind that photos can be misleading. Always take a series of three photos when you’re in a haunted location. That way you can rule out a reasonable explanation. I think most of us want to find something paranormal in our photos from investigations. After all, that’s the primary reason why we’re taking them, besides to document the investigation. 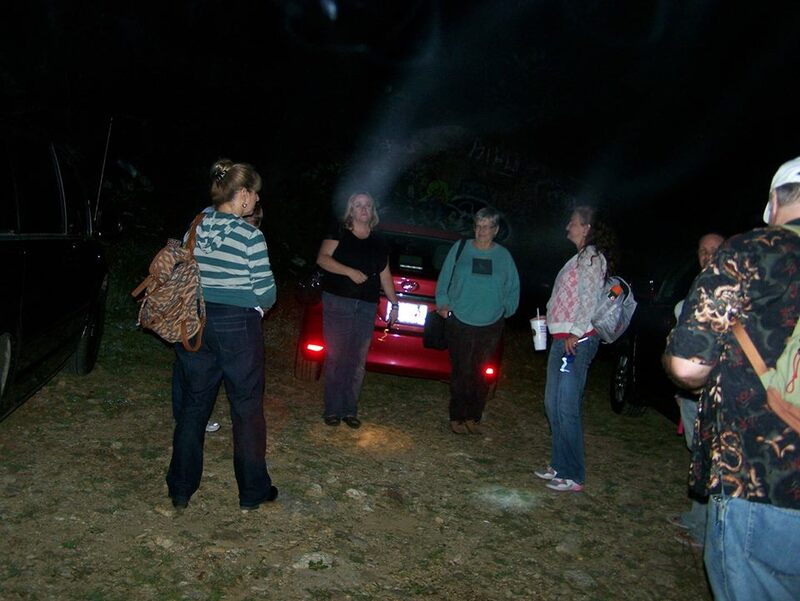 In the photo below, a fellow investigator, Pam Howell, took this photo of us standing near my car during a break. There appears to be a strange mist above us. I was quite excited when I saw it, until I realized that I was holding my E-cigarette in the picture. 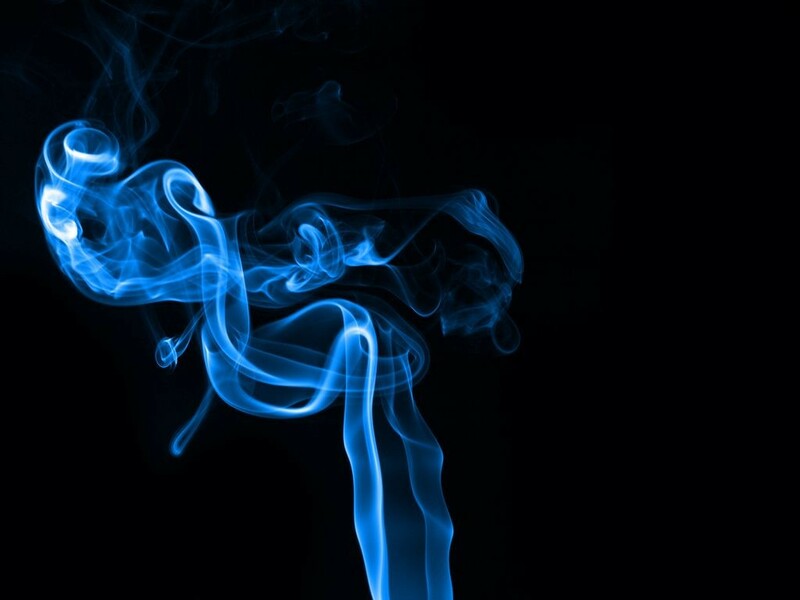 Many argued that an E-cigarette couldn’t produce enough smoke to create that mist, but I still had to throw it out as possible evidence. If there is a possible explanation, then it can’t be used. Paranormal audio captures, also known as EVPs also have room for debunking, as well. Modern digital recorders are very sensitive. Even the smallest of noises will be recorded and could be misconstrued as a ghostly response. When I conduct an EVP session, I employ the utmost care. I keep the group small (under 5 people, if possible) and everyone remains seated. I can be quite a dictator during these sessions, but it’s important to monitor the session as closely as possible. No one is allowed to drink beverages, chew gum, snap photos or, God forbid, whisper during one my sessions. If someone’s stomach inadvertently growls or a car drives past, one of us always says aloud “stomach” or “car” so we’ll know later when we review the audio. If you aren’t careful during a session, you might come across something that seems to be paranormal but isn’t. Below is a good example of someone whispering during a session. When you listen to it, you’ll hear the faint sound of a voice speaking over mine. What you won’t hear is me saying “whispering” afterwards, while giving the investigator a hard look. I believe that we owe it to the field to only submit the most valid evidence possible. This means keeping the EVPs that might or might not be another investigator burping, and the photos of smudged mirrors to ourselves. We don’t grasp for straws, we just keep trying until we find something worth sharing. I truly wish all investigators followed this rule as well. For more information about EVPs, please check out my new book Ghost Voices, available on Amazon.com for Kindle or paperback. 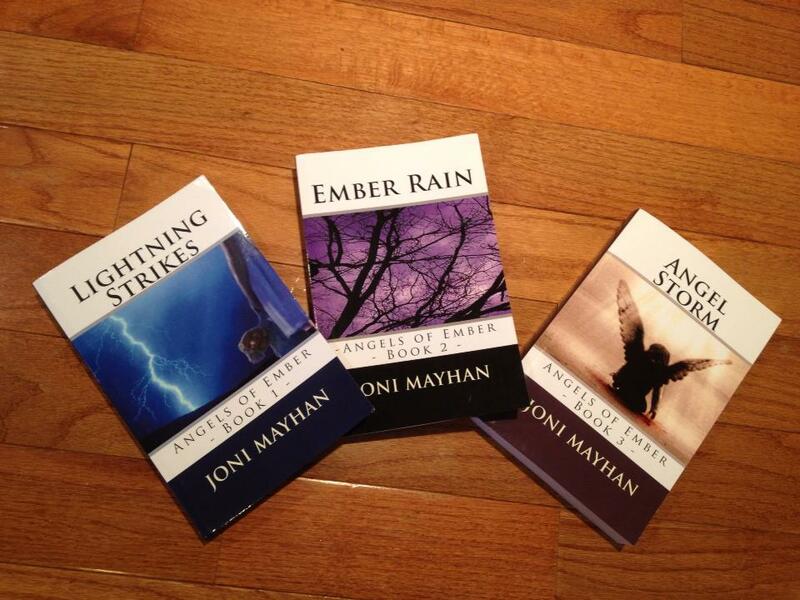 Joni Mayhan is a paranormal investigator and the author of 13 books. Click on any of the covers to learn more about each book. It takes a special type of person to own a haunted mansion, especially one as paranormally active and famous as the S.K. Pierce Haunted Victorian Mansion in Gardner, Massachusetts. The Pierce mansion was built in 1875 by furniture magnate, S.K. Pierce in the town that came to be known as “Chair City” due to its abundant production of furniture. During its 140 year history, the 6,661 square foot mansion was witness to a variety of lifestyles. Starting out as a luxurious family mansion during the Guided Era, it took a slow decline as a boarding house through the Depression years, before landing in the hands of a wealthy, if not eccentric, artist. When he abandoned the mansion in the 1970s, the house sat vacant for thirty years until a private buyer decided to transform it into a private home once again. While the Veau family was aware of the haunting and frequently saw the ghost of a little boy race up the grand staircase, they didn’t experience the same level of terror that the next owners did. Edwin Gonzalez and Lillian Otero only lived in the house for two and a half years before the extreme haunting drove them out. By May of 2015, the house was back on the market. People speculated about who the new owners would be. Some hoped the house would remain a private residence, while others wished it would be opened for tours and paranormal investigations. The reality landed somewhere in the middle. In June of 2015, after only being on the real estate market for two weeks, the house was purchased sight-unseen by a couple from New Jersey. On the surface, you wouldn’t peg Rob and Allison Conti as your typical haunted house buyers. The parents of three young children, Rob is a dentist, while Allison is a former investigator for a commercial investigative company. They live in a nice house in the suburbs of central New Jersey with a family dog named Capone and a pool in the backyard. If you dig a bit deeper though, you’ll see the reason. Rob always wanted to run a haunted attraction. The dream started in childhood and followed him through his adulthood. Once he finally had the opportunity to realize his dream, fate stepped in and handed him a major obstacle. Due to a tragic fire at the Six Flags Haunted Castle In 1984, where eight teenagers died, the laws for freestanding haunted attractions were dauntingly strict, essentially preventing anyone from opening another haunted house of its kind in the state of New Jersey. Even though he had the mental image of his ideal haunted attraction set firmly in his mind, he pushed it aside and came up with a completely different concept. In 2010, the Conti’s opened The Dark Carnival in Freehold, New Jersey, a carnival-themed attraction held in an 8,000 square foot open-air circus arena, along with several other structures. Visitors to the amusement enjoy a winding maze filled with terrifying clowns, as well as attractions like The Meat Grinder, The Sanatorium, and a dark hallway filled with frights known as Night Terrors. The Dark Carnival is heavy on creepy clowns, something that impacted Rob at an early age. When he was six years-old, his parents brought him to Madison Square Garden for the circus. The clowns came into the audience, looking for a volunteer to bring onto the stage. Despite the fact that he was hysterically crying, they were persistent about dragging him onto the stage. It was a traumatic experience for him, making him now appreciate why so many people are fearful of clowns. When the S.K. Pierce Mansion went on the market, a friend of his wife sent them the MLS listing, thinking they might be interested, knowing about Rob’s childhood dream. Rob was astounded. “It was the house out of my head and the price was relatively affordable,” he said. When he showed the listing to his wife, her reaction was a bit different. “Absolutely not!” she laughingly told him. After some further discussion, they decided to at least look into it and see if it was even feasible. Rob called the real estate agency the next day and immediately met with resistance. Known for its haunted history after being featured on numerous paranormal television shows, as well as the subject for my 2014 book Bones in the Basement – Surviving the S.K. 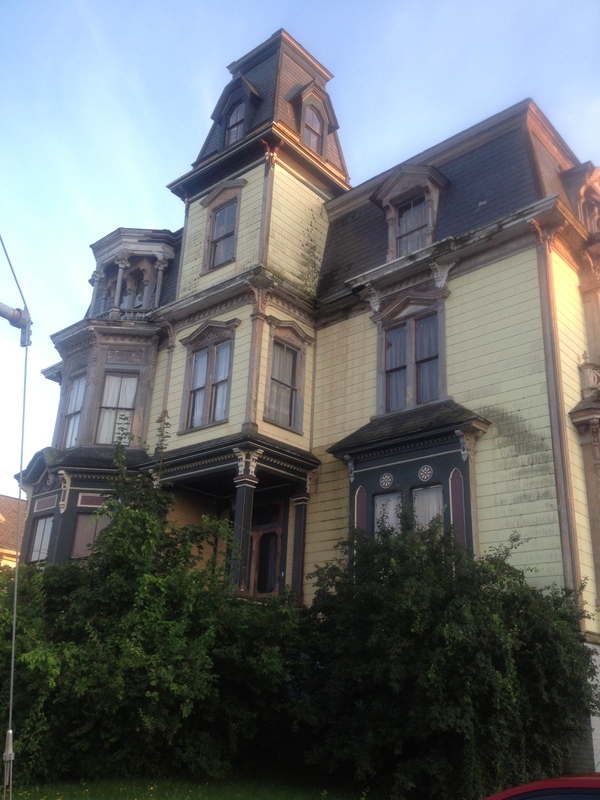 Pierce Haunted Victorian Mansion, many people were calling the agency hoping for a peek inside the haunted mansion. The agency was careful about only showing the house to serious buyers. After doing extensive research into the property, the Contis finally set the wheels in motion and put in an offer on the house.The real estate agency was astounded. In 25 years of business they had never sold a house sight-unseen. Rob knew what he was getting himself into though. It was the house of his dreams. The Contis plan to fully restore the house, starting with the outside. Restoration on the crumbling soffits will begin within the next few weeks, with power washing and repainting soon following. Interior work will include the installation of a sprinkler system and some upgrades to the electrical and plumbing, as well as restoration to some of the plaster work. After a year of renovations, they will open the house to the public. “Everything needs to be original looking,” he said. 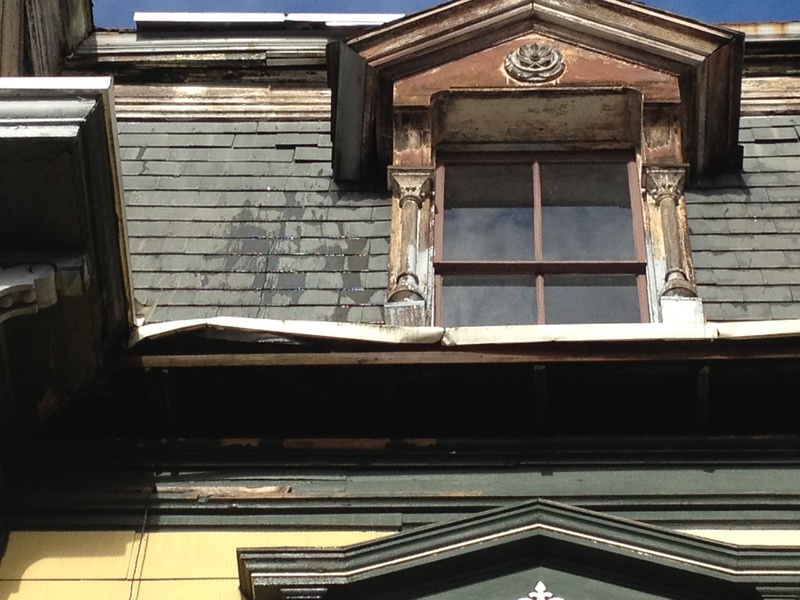 He will restore the Victorian to its former glory, down to the smallest details, such as having reproduction iron roof finials made for the top of the infamous widows walk. He was pleasantly pleased to learn that, besides the exterior decay, the house is structurally sound and in excellent condition. The current plan is to open the house up for daily, weekly, or monthly rentals for eleven months of the year. People who have always wanted to spend the night in a haunted mansion will have an opportunity to do so. During the month of October, the house will be transformed into a weekend haunted attraction, complete with hired actors and high-end props. They are currently working on obtaining off-site parking options, as well. Rob has been astounded by the attention his purchase has generated. “People are already trying to make reservations, even though the opening is still a year out,” he said. He was recently interviewed by Channel 7 News in Boston, in addition to being a guest on several paranormal radio shows. “Everyone has been amazingly supportive,” he said, of the town and the mansion’s multitude of fans. Rob understands the way people feel about the mansion. “It almost seems like it’s a community house. We own it, but it’s our responsibility to fix the house, so that needs to be done,” he said. Will they open it for paranormal investigations? Rob is still pondering the idea, knowing that it will require different handling from a normal rental. His primary focus, for now, is to fix the house. “Once we get that done, we can consider all the other options,” he said. One thing’s for certain: there won’t be any clowns, something that was hashed and rehashed by fans on social media. During our hour long interview, one question kept rising to my mind. I waited until nearly the end of our conversation to ask it. Does he believe in ghosts? “I’m starting to now. I’ve never been in this situation before. It’s hard to not to because there are tons of people all telling me the same story. I find it hard to believe that hundreds of people are in on the same hoax,” he said with a laugh. I’m fairly certain his opinion will be solidified in the coming years, if the Victorian ghosts are true to form. The Conti’s set up a website, as well as a Facebook page where fans of the house can keep track of the progress. If you’d like to read more about the mansion’s dark history, check out my book by clicking the photo below. Joni Mayhan is a paranormal investigator and the author of 11 books. For more information about her, check out her website Jonimayhan.com or her terrifying true paranormal books on Amazon.com, including Dark and Scary Things, Devil’s Toy Box, The Soul Collector or Bones in the Basement. Since the recent popularity of my paranormal true story books, The Soul Collector and Bones in the Basement, I’ve been flooded with requests to check out people’s houses for ghosts. While I’m quite adept at determining if there is a ghost present, if you’ve read The Soul Collector you’ll already know that I can’t do much about the haunting. 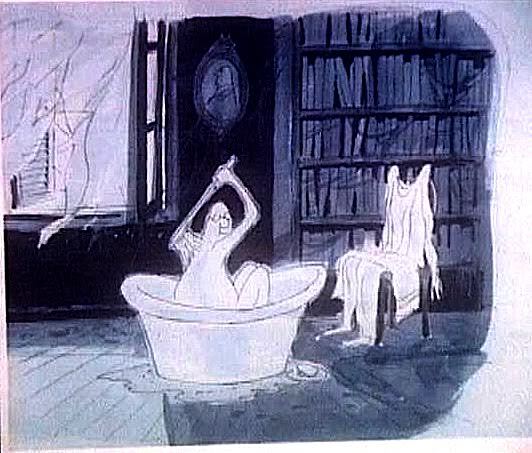 Ghosts are often deeply embedded into a home. Some have been there for decades, if not centuries. It will take more than a sweep of sage and well wishes to move them out of their comfy digs. Others have an agenda they can’t abandon simply because their presence is inconvenient to the living. In my opinion, only a talented psychic medium can evict them against their wishes. That doesn’t leave much for the rest of us to work with, but I do have a few suggestions. 1. Start by calming the energy. Purchase white sage from your local metaphysical store. It can be mixed with cedar or sweet-grass for good effect. You should know that sage isn’t a cure all. You can’t just walk from room to room burning it and expect it to remove all the ghosts. Think of it more like ghost Valium. It calms down the spiritual energy, making them more willing to abide by your wishes. As you burn it, walk from room to room, covering every inch of the space, from ceiling to floor. Say aloud, “I cleanse this room with positive energy. No negative energy may remain.” Start from the top of the house (if there are multiple floors) and work your way down, from back to front. Once you are finished, crush the sage out on the sidewalk. 2. Now the true counselling begins. Imagine yourself as a ghost therapist. Talk to the energy and tell them about the white light. It opens up when we die and we are supposed to cross through it to get to the other side. Some people call this place on the other side Heaven or the Kingdom. It is a wonderful place, filled with all their loved ones and relatives who have passed on before them. Tell them it’s okay to cross over. 3. It is helpful, but not necessary, if you know the history behind the haunting. Often, souls balk at crossing over into the light at the time of their death. They begin to wonder if they were good enough in life to earn passage, fearing they will take an elevator directly down to fire and brimstone instead. This isn’t the case. Everyone is allowed to cross over. While they might not like the ramifications of their misdeeds, they aren’t sent directly to Hell. Some misdeeds aren’t misdeeds at all. They are considered a human condition. Suicides are a good example of this. Many churches tell their parishioners that if they commit suicide, they are condemned to Hell. When the time comes to cross over into the white light, they freeze fearfully and miss their chance to cross. Tell them they are forgiven, that God loves them and welcomes them. 4. Urge them to find the light to cross over. They can call out to their ancestors to help pull them through or to look for someone else’s white light to pass through. Funeral homes and churches are good places for them to look. Most souls linger around to attend their own funeral, perhaps checking out the attendance, and won’t cross until the service ends. 5. Don’t investigate your own home. I’ve been called to several homes only to discover the homeowner is actually pleased with the haunting. It’s almost as though they are showing it off to me. If this is the case, please don’t call me. I see enough ghosts on a daily basis to last me a lifetime. I don’t need to meet yours too. If you continue to talk to them and try to get them to provide you with a great EVP or photograph to show your friends, they aren’t going to go anywhere. They might like the attention and decide to stay on for an extended period. 6. Change your life. Dark energy attracts dark energy. If your life is in shambles and you live each day dreading the next, you are likely to attract more than you bargained for. Negative entities love nothing more than feasting on your misery. Get out of your house and go for frequent walks. Open the blinds every day and let the sunlight in. Find good reasons to live your life and make changes so it becomes second nature. 7. Ignore the energy. People who know me, know that ghosts often follow me home. This is another reason why I’m not keen on doing house cleansings. All I have to do is walk into your house and walk back out again with an extra passenger in tow, despite all precautions. When I do get an unexpected house guest. I sage my house, do some therapy work with them about crossing over, and then I ignore them. Unless they pop up in my face, I don’t pay any attention to them. I pretend I don’t see the cats staring at the spot above my bed. I dismiss the rapping sounds on the walls I refuse to give it any energy, which ultimately feeds it and gives it more ability to continue. Usually, they grow bored with me and drift away. 8. If all else fails and you’ve tried steps one through eight with no results, find a good psychic medium to help you. Professional house cleansings aren’t always free because it requires a great deal of energy to remove the entities, but it is worth it in the end. In conclusion, please understand that not all ghosts need to be removed. If they aren’t causing any harm and are simply former home-owners hanging around, tell them you know they are there and to stop scaring you. Sometimes this is all you need to do and life goes on as normal. Life with the paranormal isn’t always easy, but rest assured, it’s never boring. 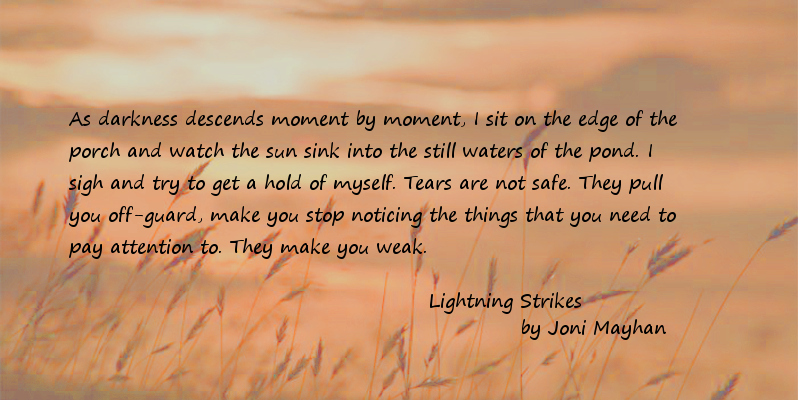 Joni Mayhan is a paranormal investigator, as well as the author of 13 books. Please check out her paranormal thrillers on Amazon.com and BarnesandNobles.com. Click on any cover to learn more about her books. Here’s the first chapter of Bones in the Basement – surviving the S.K. Pierce House. Soon to be published. The house was waiting for them. 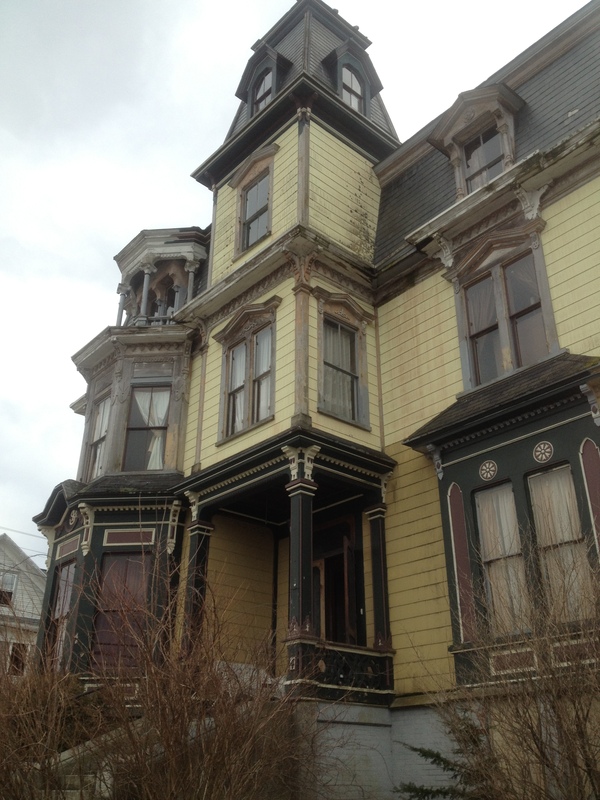 The three-story Victorian Mansion sat vacant for two full years, looking every bit the haunted house. People drove past slowly, staring up at the empty windows, wondering if the rumors were true. The house was supposed to be haunted. The Victorian was built in 1875 by Sylvester Knowlton Pierce, a wealthy furniture magnate in the town of Gardner, Massachusetts. The Second Empire Victorian mansion was considered to be a modern marvel of its time. It had two cisterns that once collected rainwater from the slate roof, providing the occupants with running water, something unheard of in the late 1880’s. The house was outfitted with gas lighting, speaking tubes and electric bells for communication throughout the house, and even boasted a dumb waiter which reached three floors. The hand-carved moldings and cornices spoke volumes of a time when houses were built carefully and lovingly. It had 26 rooms, with 4 bathrooms, and a tower with a circular staircase leading to a widow’s walk, providing sweeping views of South Gardner. The massive doors were nine-feet tall, constructed of solid black walnut and weighed well over five-hundred pounds apiece. Every inch of woodwork was elaborately carved, signifying the status of wealth and opportunity. No detail was overlooked. No cost was too great. The house was simply a masterpiece. In its 133 year history, the house had lived a variety of lives. After providing a home to the Peirce family for over fifty years, it would also become a boarding house and an artist’s retreat. Legends surrounded it a plenty. Stories of death, destruction, and murder tainted its history, making people wonder about the rumors. Children gave the house a wide berth at Halloween, crossing the street as they approached, so they wouldn’t get too close. People who lived in the area whispered stories to one another. Some saw faces at the windows or heard strange noises; others had more personal stories to share. When the house was vacant during the 1980’s and 1990’s, children would slip through the basement window and wander through the house, daring one another to explore the massive structure. Furniture still remained in most of the rooms, dusty and faded, harking back to a time long past. As the children played hide-and-go-seek, one child hid in a closet on the second floor that had once been part of a dumbwaiter. As the child crouched in the darkness, he felt hands clasp around his shoulder. He bolted from the closet, turning to see the smiling apparition of a child smirking back at him. The image would remain with him for decades. When the house went onto the real estate market in 2006, many people were interested in seeing in. 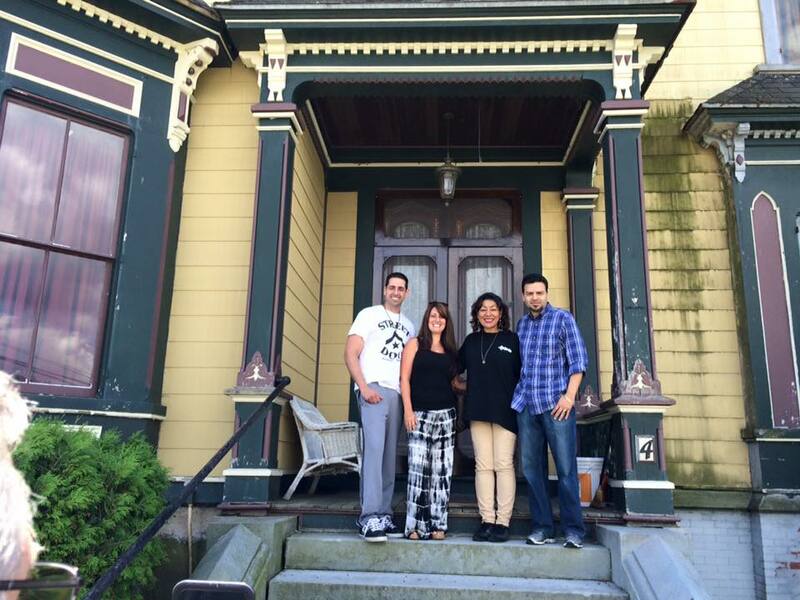 By this time, it had been featured on the SyFy Channel’s paranormal reality show, Ghost Hunters. It was now more than a local novelty. It was famous, but nobody could buy it. It’s as though the house were waiting for the right people to come along. Prospective homeowners flocked to the massive Victorian, armed with cameras and wide eyes. Offers were made, but every one of them fell through. After a while, the realtor began screening the viewings, not allowing anyone to bring cameras into the house, wary of all the would-be ghost hunters. The house was haunted. Everyone knew it except for its future owners. They would find out soon enough though. The house was waiting for them and it wouldn’t let go of until it had fulfilled its darkest desires. And once it did, it would expel them from its depths, running for their lives. To read more about the S.K. Pierce Mansion, please check out Joni’s book Bones in the Basement.